We've seen a huge increase in the number of flavored whiskeys the past two years! Things that in the past would have been considered blasphemy in the whiskey world (like Jack Daniels Tennessee Honey) are now commonplace and still on the rise. 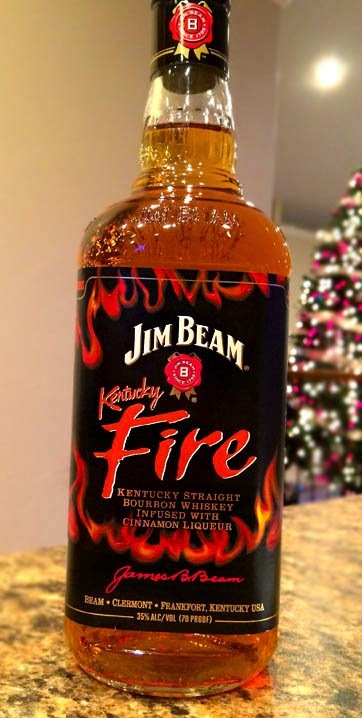 Well, here's another newcomer, Jim Beam Kentucky Fire!!! Looking back, I've reviewed quite a few vodkas here at Bob's Brew and Liquor Reviews (check them all out HERE). We've had everything from crazy and weird flavored vodkas to top-shelf $80 a bottle vodkas to $6 rotgut hobo-style vodkas. But sometimes, it's nice to get back to basics. Back to a high-quality straightforward vodka. And that's what we have up for review today: Balls Vodka. Recently I posted a review of the Spiced Apple Hush Moonshine (yes, that's a link to the review, feel free to check it out!). Which was surprisingly tasty and delicious, especially for a flavored moonshine (aka. unaged corn whiskey). So, what do we have now?? Another one from Hush Moonshine! 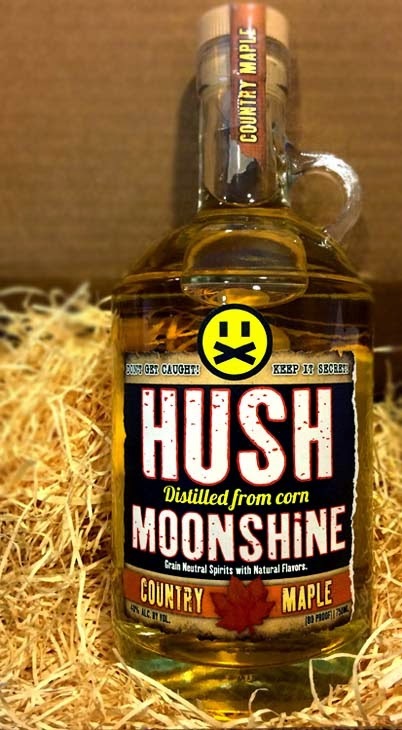 This time we are reviewing the Country Maple Hush Moonshine.